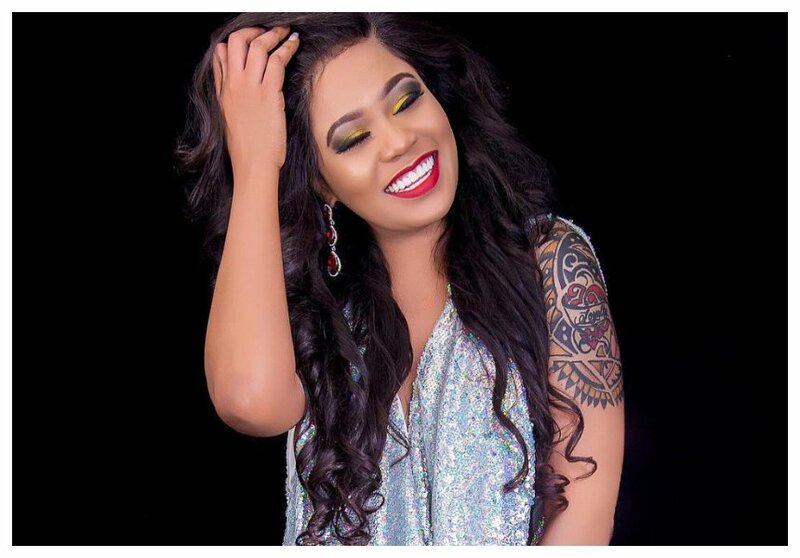 Socialite Vera Sidika was recently forced to give a fan a rather unexpected answer after she took to instagram to announce her trip to the US. The socialite, who has been in the news for dating several men now and sleeping with others, including older ones, posted a raunchy photo of Gucci man with his girlfriend while posting the announcement but a fan wanted to know when she’ll stop sleeping around and settle down. “How many men will see your nakedness before you settle down?” asked a fan who goes by the name Frankutt. 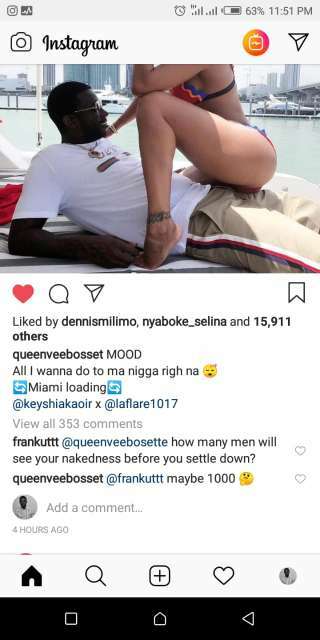 Vera Sidika, who seemed not to have taken the comment lightly then sarcastically responded to Frankutt saying that the number may get to one thousand men. “@Frankuttt maybe 1000,” responded Vera Sidika. Vera was recently accused of dumping Otile Brown who she dated for less than six months. Before that, she was with a white guy who she dumped because he was too young. In the entertainment industry, the socialite has also been rumored to date several guys.